Storing food in the freezer is one of the easiest things ever. Your food is kept fresh and safe until you’re ready to eat it. When freezer burn occurs, it can ruin your food. So, what can you do to prevent it? No one wants to eat dry food! So we decided to give you a few tips on how to avoid freezer burn so you can save your food for the times when you’re ready to eat. Food that has freezer burn is still safe to eat sometimes. All you have to do is cut off the dehydrated parts of the food before eating it. The quality of the food is what goes down when freezer burn occurs. However, if the food doesn’t look good to eat, it’s better just to throw it away altogether rather than risk eating it. One of the first ways to prevent freezer burn is to use the correct containers. These containers are designed to keep your food fresh and from catching freezer burn. Air also plays a huge factor when it comes to freezer burn as well. The more air and moisture kept out of your food, the better. 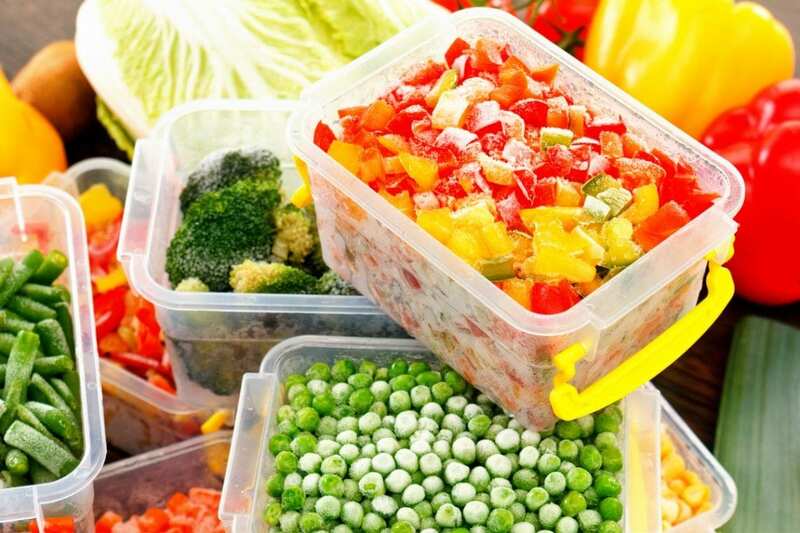 These containers have a much better seal barrier and will protect your food. The same goes for any freezer baggies you may decide to use. It’s the best insurance to make sure that your food not only stays safe, but it will allow it to last longer when stored in the freezer. If you want to have freezer meals that are cheap and you can just pop out whenever you’re hungry. Invest in high-quality containers to store your food rather than going cheap. You don’t want air and moisture trapped in with your food. If you’re using bags, vacuum seal it. Not only is it excellent for long-term storage, but food will have less of a chance of getting freezer burn. It’s quick, easy, and it’s the best option. If you don’t have a vacuum sealer, get a large mixing bowl filled with water. Push the closed end of the bag down into the water, and then seal up your bag. It’s another cheap way to get the air out! Also, be sure to pack rigid containers as much as possible. There should be little to no room left inside when storing food in them. It’s best for short-term use, but if it’s long term you want those rigid containers packed to the brim. It will cut down significantly on the freezer burn too. Freezer burn is a hassle to deal with and can ruin your favorite foods. We hope you take these tips to heart into preventing freezer burn from happening to your food. Most of the time all it takes is a few extra minutes to make sure everything is well-packed, sealed, and stored away. Should You Trust Your Oven Temperature Gauge?